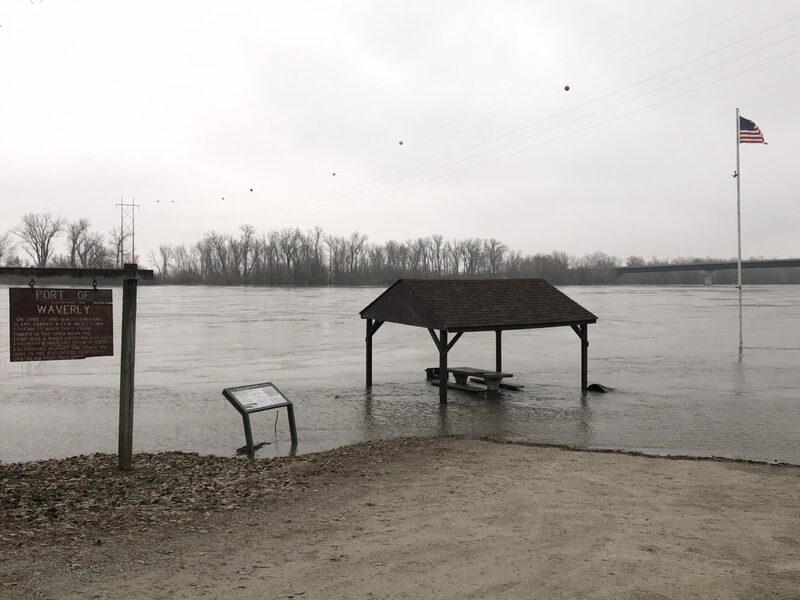 NORTHWEST MISSOURI — Widespread flooding is causing concerns for people all across northwest Missouri, and the Missouri Department of Health and Senior Services wants to be sure everyone is ready for what’s to come – and for the cleanup effort when flood waters finally recede. KMZU’s Brian Lock was joined by Dr. Randall Williams, Director of the Missouri Department of Health and Senior Services, who said Missourians can’t stop the flood waters from coming, but they can be prepared for them. Williams stressed the importance of always turning around – especially if you’re driving in a vehicle, and never entering the water or moving towards it. “When people are in that situation, they should just turn around,” Williams said. While drowning is a major risk when flooding occurs, other risks should be at the forefront of peoples’ minds. Once flood waters recede, though, the real work begins for those affected by surging flood waters. Dr. Williams expressed the importance of anyone who will be involved with flood operations or cleanup receiving a tetanus shot, which will be offered free of charge at area health departments.